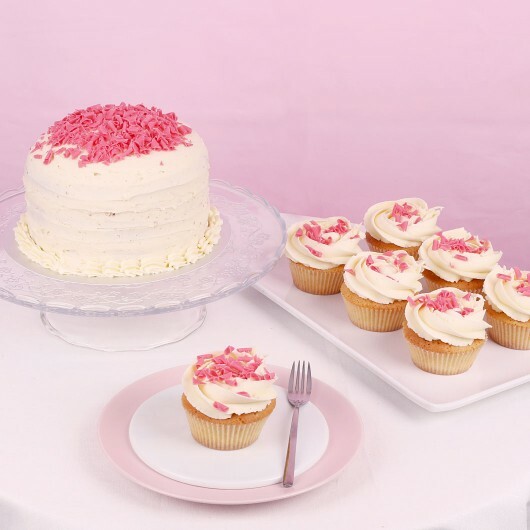 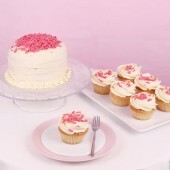 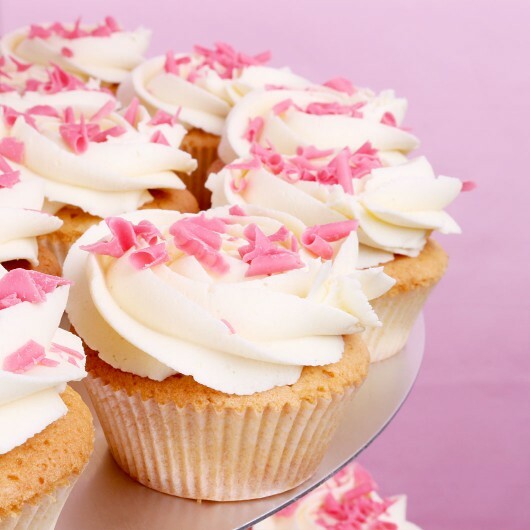 These are our classic fine-flavoured Vanilla cupcakes with their vanilla buttercream frosting, decorated with pink Belgian chocolate curls. 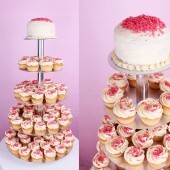 This is the stylish and tender highlight of your wedding. 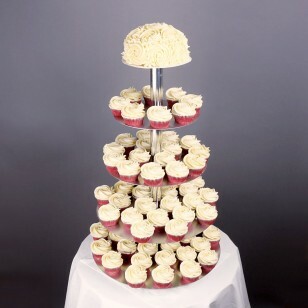 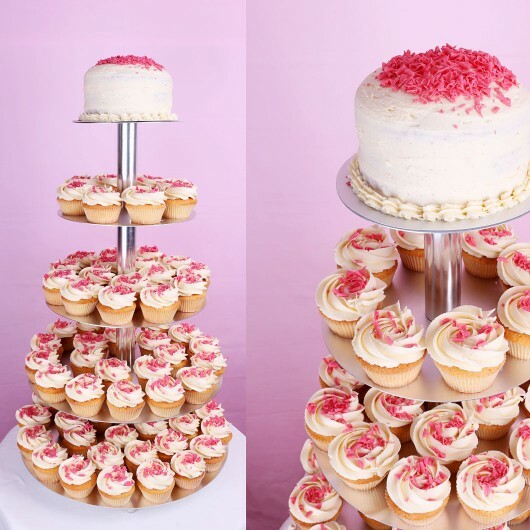 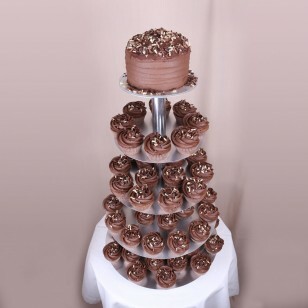 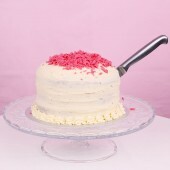 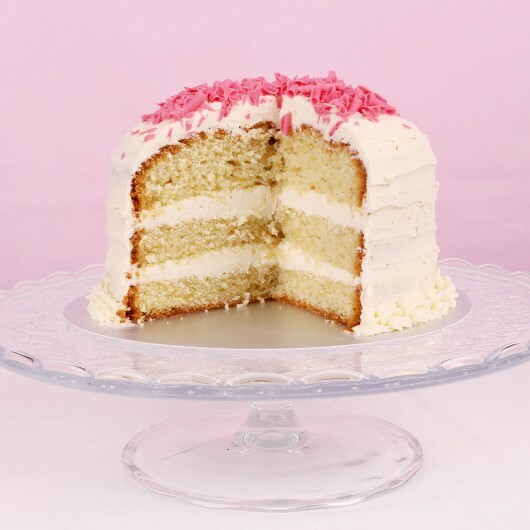 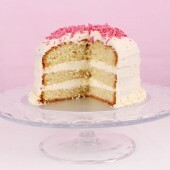 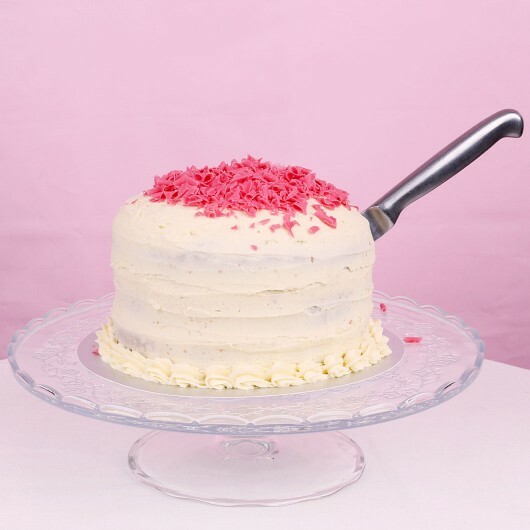 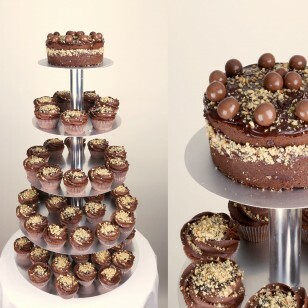 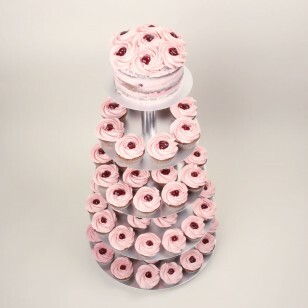 The Vanilla cake on top is there especially to serve the newlyweds, it’s made of three vanilla flavoured layers with vanilla buttercream frosting in between.